720mm x 720mm tile cut diagonally. 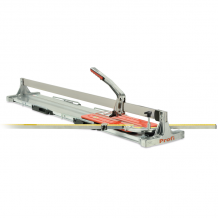 SUPER PROFESSIONAL "PUSH" Tile Cutter for straight and diagonal cuts on single-double fired ceramic and porcelain stoneware tiles. 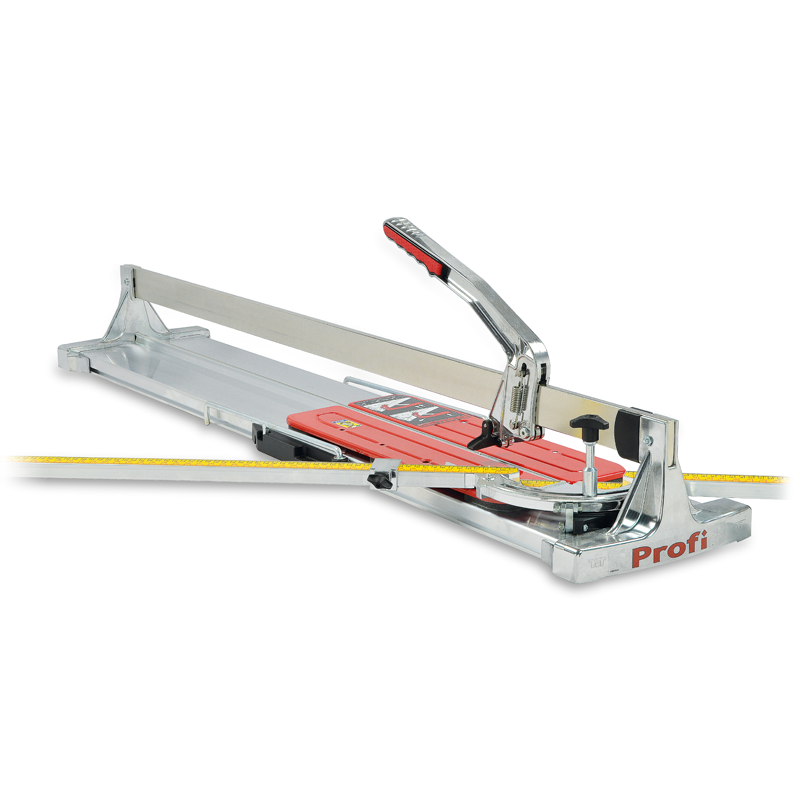 HANDLE has two adjustable ball-bearings for a perfect sliding and precision cutting. 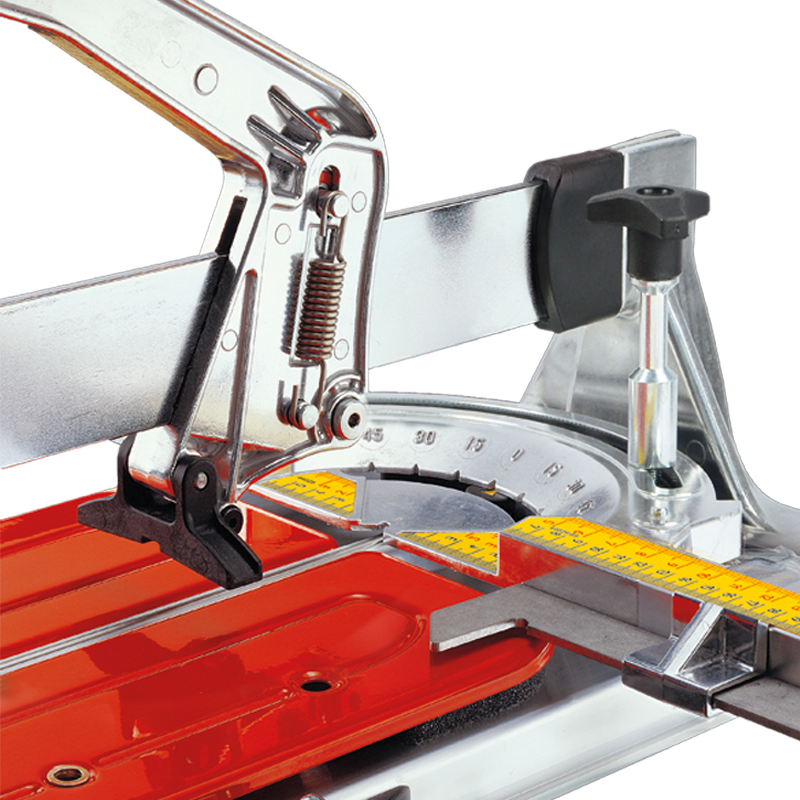 SQUARE BAR with direct reading of measurements for straight and diagonal cuts. 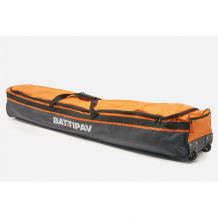 CONFORTABLE SOFT GRIP HANDLE . 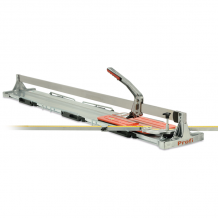 QUICK START SYSTEM: The carriage has springs which makes the handle always ready to cut. SPARE CUTTING WHEEL PROVIDED: The machine is provided with an additional cutting spare wheel, placed under the square bar. STRONG BODY made of Extruded Aluminium to get rigidity and lightness at the same time. 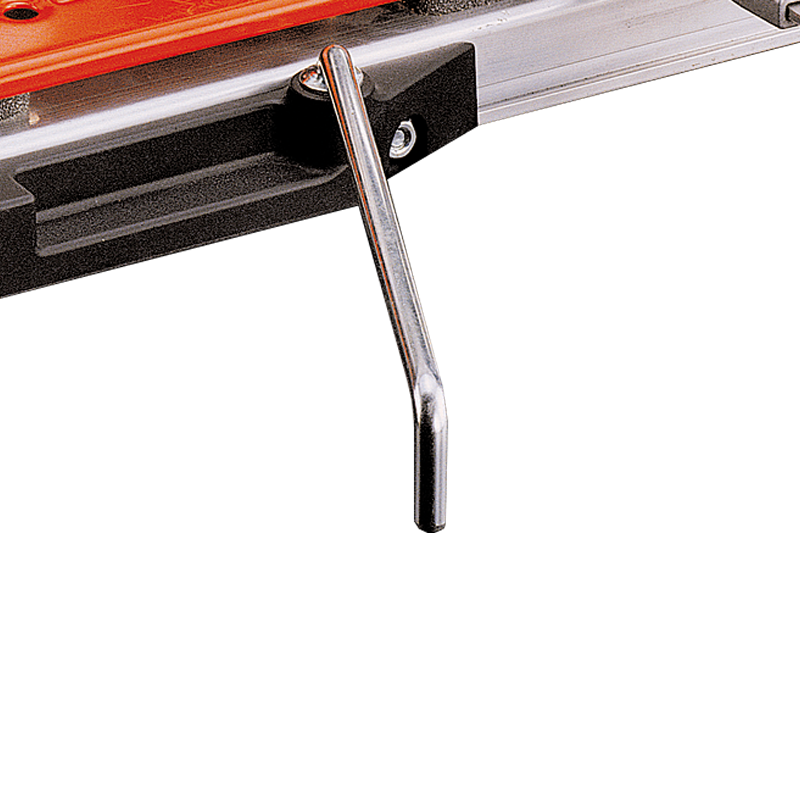 SIDE EXTENSION BARS: Very practical for cutting large size tiles. 940mm x 940mm tile cut diagonally. 1150mm x 1150mm tile cut diagonally.